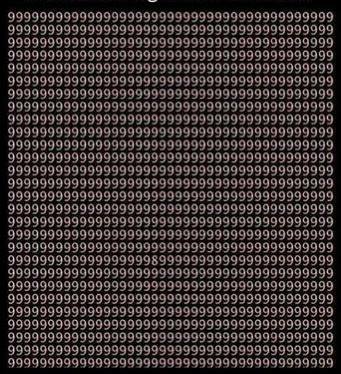 Find the number 8 in the ‘9s’ picture below and let me know how fast (or slow) you did! It should definitely be done within the minute (take a visit to an optician if you didn’t! 🙂 ).